I did a lot of bike riding yesterday and what a beautiful day it was! I think it worthy to note that I also felt better than I have in a long time and I credit that with the fact that I’ve started taking an iron supplement. I asked my friend Doria a.k.a. The Village Witch for a good one to take and she recommended Floradix. 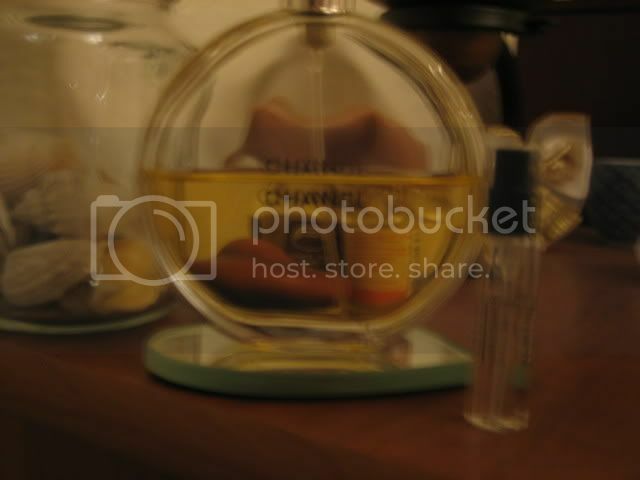 Looks like plant fertilizer, doesn’t it? 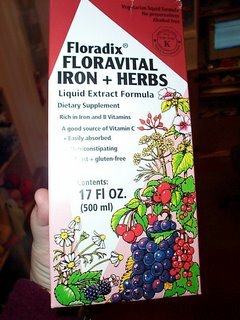 It is actually a liquid and doesn’t seem to have a lot of the unpleasant side effects of regular iron supplements. I’m amazed at how much better I feel! I may even try to give blood again. I haven’t been able to do that since college! Anyway, girlz, if you are feeling a little under the weather, get thee an iron supplement. It’s making me downright perky! Tonight at knitting group, we are going to have a special treat! 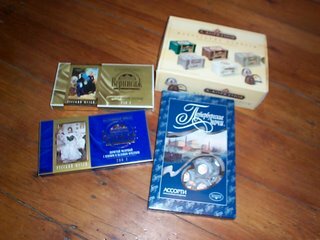 This is chocolate from Russia. Old friend and one of the original knitting group members, Letitia, brought it by on Monday. I, of course, forgot to get a picture of her. She is working in Russia now and stopped by on a visit to the area. It was really great to see her! Anyone who is willing is going to be asked to help fold and stuff envelopes for the Knit Out shop letter. We’re hoping to get that out tomorrow. There's chocolate in it for you! It's so funny that I found this post. You should read my blog, "real and raw". I am making a point that iron is good for woman.